American says it can build an international route system, even if it starts out behind Delta and United. DALLAS ( TheStreet) -- American ( AMR - Get Report) says it is building an international route system for premium travelers, step by step, following the example it set when it took over Eastern's Miami hub in 1989. 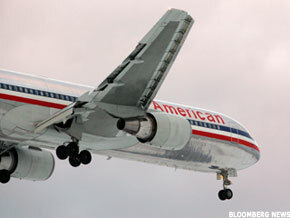 "The manner in which we are trying to build share is unconventional, in the sense that historically airlines have built franchises through buying them, or built them when the market was soft," said Vasu Raja, American's managing director of corporate planning, in an interview with TheStreet. "But we have done this before (in Miami). We have a line of sight on how we will build five world class hubs, and we have partnerships in place to help us do that." In part, Raja responded to a recent, critical report by Avondale Partners analyst Bob McAdoo, which said that American loses $1 billion a year by placing too much capacity on routes where competitors are able to produce higher unit revenue by offering less capacity. While he disputed McAdoo's math, Raja acknowledged that the carrier realizes it takes time to build traffic on new routes and to fully integrate its recently approved partnerships. Raja sketched out American's global approach, drawing on the evolution of the Miami hub, widely recognized as one of the domestic airline industry's most successful hub operations. As even McAdoo noted, "American clearly has a broad productive hub in Miami." Dominance in Miami has enabled American to dominate an entire continent. In building trans-Pacific and trans-Atlantic networks, however, American's competitors got a head start. United ( UAL - Get Report) bought a Pacific network from Pan American World Airways , while Delta ( AMR - Get Report) acquired Northwest in order to get a Pacific network. Continental built a European network at its Newark hub, then merged with United. Both United and Delta also received anti-trust immunity in the trans-Atlantic long before American did, and both have lower labor costs. It was not until July 2010 that American won approval for its trans-Atlantic joint venture immunized against anti-trust violations. In the Pacific, American has had to build from scratch, after winning approval for an immunized joint venture last year and starting implementation in April. "It is no great secret that we have a smaller Asia network than the others," Raja said. In this context, it is no wonder that American has about a quarter of the market capitalization of its two peers: at the same time, it seems foolish to assume that American will never approach its two peers' network capabilities. Miami growth has taught American how to build, Raja said. "It has been so strong for so long because we invested for the long run," he said. "We built relations with community leaders and travel agents and premium travelers. And today, India and China look to us like Miami did 10 years ago." Among American's recent steps: A code-share agreement with India's Kingfisher Airlines was implemented this year. And last week, JAL said it will launch non-stop Tokyo-Boston service in April 2012. The flight will be operated as part of the two carriers' immunized trans-Pacific joint venture. As a sign of the flight's importance to the two airlines, this is the route JAL has selected to fly its first Boeing ( BA - Get Report) 787. Regarding specific routes that McAdoo said were unprofitable, Raja declined to discuss route profitability. However, while McAdoo said Chicago-Shanghai is unprofitable, Raja noted that American began Los Angeles-Shanghai service on April 5: he strongly implied that the airline would not add a second Shanghai route if the first was unprofitable. McAdoo said American flies too many New York/Los Angeles flights, Raja said Kennedy-Los Angeles "is one of the strongest premium fare markets anywhere in the world, we are the preferred airline for premium travel and the cabins are packed." McAdoo said Dallas-Buenos Aires is unprofitable: Raja said Buenos Aires is among the best markets in South America. McAdoo said some London Heathrow flights are unprofitable: Raja said American operates Heathrow like its other hubs, and needs frequencies to key markets. "At the end of the day, Heathrow is our market, in the same way Dallas or Chicago or Miami is our market," he said. In general, Raja said, airlines tend to look at revenue per available seat mile on an overall basis, not a route specific basis. He also noted that McAdoo's analysis does not take into account the necessity to compete on fares while building new routes. "We do have some routes out there losing money, but you cannot look at routes in isolation when you're trying to build a hub network," he said. "You can't look at any single route and make month to month decisions on it. We know what it takes to build a network over a long period of time. "This isn't a math exercise," Raja said.